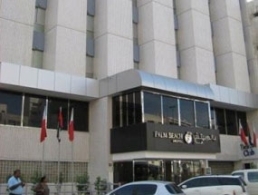 Located in the heart of Bur Dubai, just 10 minutes from the Dubai International Airport, and 5 minutes from the Dubai World Trade Centre, guests looking for a “No-Frills Budget Hotel, will find the Palm Beach Hotel. Those interested in many of the city’s historical sites will find them within walking distance of the hotel. Guest can experience the Dubai Museum giving visitors an insight of Dubai in its earlier days, or take a stroll on the historic Dubai Creek with its traditional Arabic-style sailing boats gracing its waters.